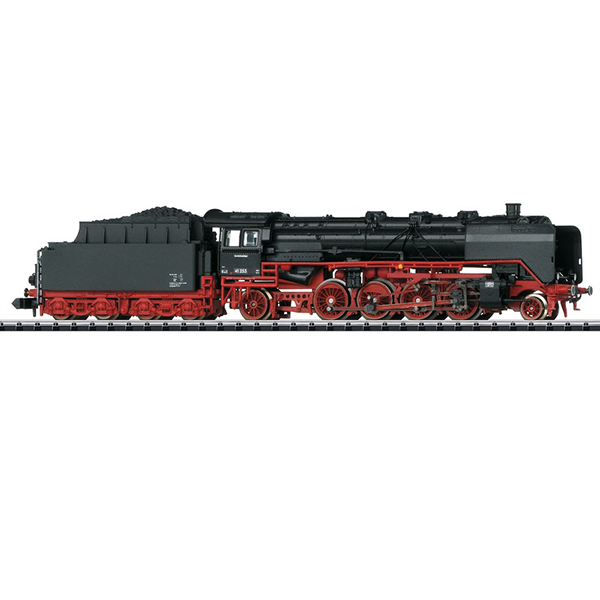 Prototype: German Federal Railroad (DB) steam locomotive with a tender, road number 41 255. Prewar version with Wagner smoke deflectors, prewar boiler, and a type2´2´T34 standard design box tender. The locomotive looks as it did around 1951. 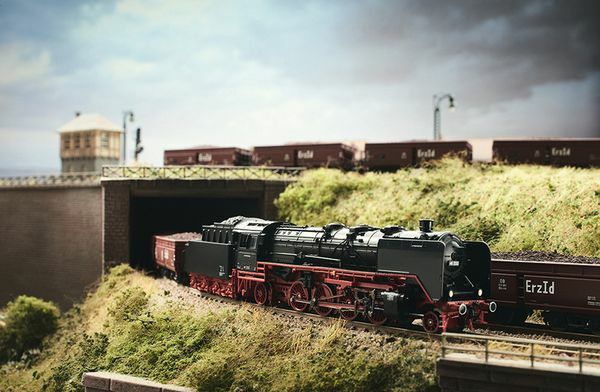 Model: The tender is constructed of die-cast metal. The locomotive has a built-in digital decoder and sound generator with the formats DCC and Selectrix. The locomotive and tender are close coupled. 3 axles in the tender powered. Traction tires. Warm white LEDs are used for the triple headlights, running gear lights, and cab lighting. The headlights change over with the direction of travel and will work in analog operation. Length over the buffers 150 mm / 5-7/8". An accessory parts kit with brakeman's steps, rail guards, piston rod protection sleeves, and a front coupler with a pocket is included.